Connect your activities on eBay with the rest of your business, keeping it in sync and cutting down on your daily tasks. eBay sales come into Brightpearl automatically, where you’ll manage your listings, inventory, prices, orders, shipments and multiple eBay stores in the same place as your other sales channels. Assign each eBay account their own stock, pricing and company branding, to keep your information updated and accurate. 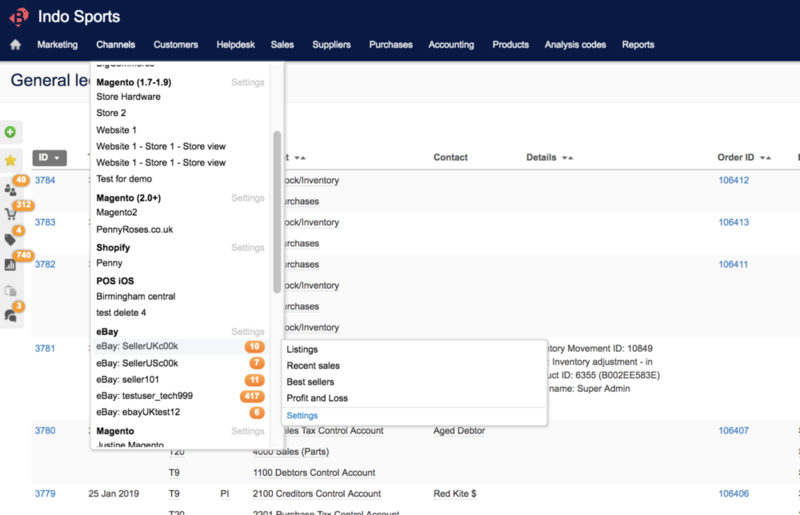 eBay orders are automatically created in Brightpearl, creating new or using existing customers and automatically reserving stock. GSP orders are automatically assigned the GSP shipping address. Orders from eBay are marked as paid when eBay indicates a PayPal payment was made. On hand inventory levels from one or more Brightpearl warehouses are uploaded to eBay listings. Where the eBay account is configured to allow it, listings will automatically reactivate as items are brought into stock. Manage prices for domestic and international listings in the eBay site currency. As the price is changed in Brightpearl, it is updated on eBay. Shipping method and tracking reference are sent to eBay as the items are marked as shipped.